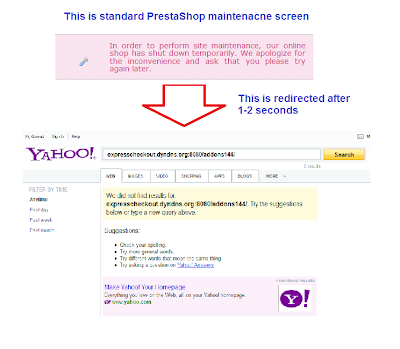 This tips is for PrestaShop owner who are facing page error when you access your PrestaShop store at its maintenance mode. 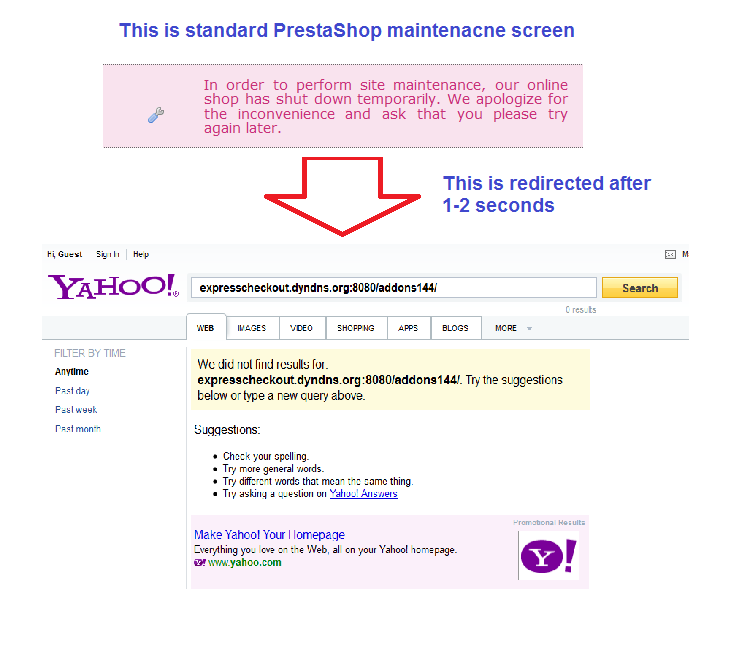 As PrestaShop owner, you know there is a function that you can set your PrestaShop to maintenance mode to prevent user from accessing your store. 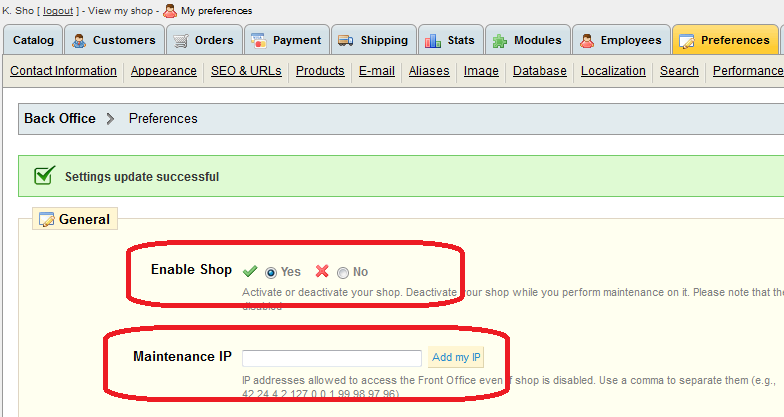 You can set your store to maintenance mode at back office admin page. 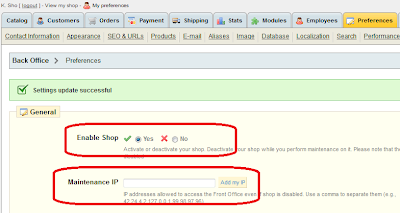 Set "Enable store" to "No"
When you set your store at maintenance mode, general visitors will get an page error and most browsers will redirect visitor to some other pages or even goes to search page. Your store"maintenance message" only appears a few seconds. Below is images showing how this happens. 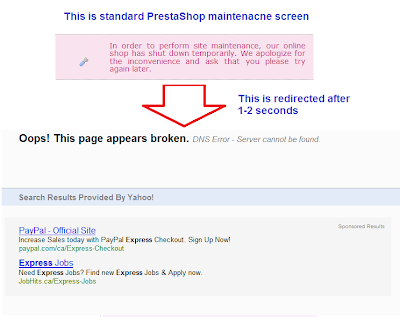 This is not good to your site, because it will give visitors wrong message. This screen transit is from my Firefox browser. Solution to the problem The solution to this issue is very easy. what you need to do is to delete or comment out the following line by adding two "/" in front of the line. 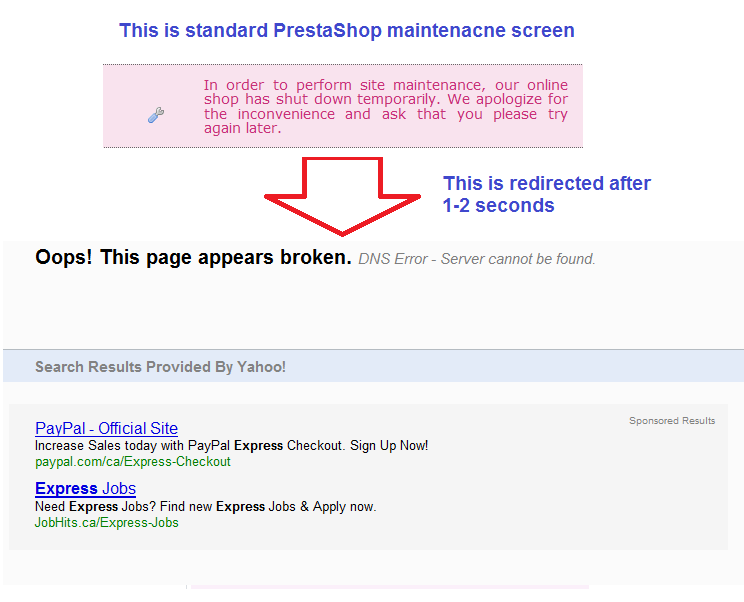 Personally, I don't it is necessary and HTTP error to browser when the PrestaShop store under maintenance mode. It is not an HTTP at, it is normal maintenance mode.